Services – Summit Anchor Co.
We are more than anchors. 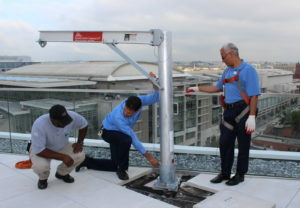 Whether working with building managers on inspections, testing and certification of existing anchorages, collaborating with architects and engineers to design fall protection systems, or fabricating our anchors for installation, Summit Anchor thrives on superior services for its clients. From the bottom to the top, Summit Anchor is your one-stop provider for fall protection systems.